The 20th Century Fox sequel Percy Jackson: Sea of Monsters takes a stylish approach with their latest character poster, likely the first in a series. 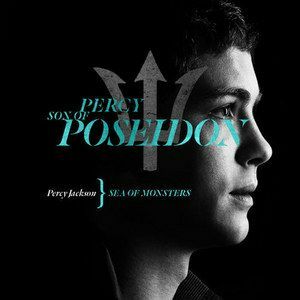 Logan Lerman is featured as the title character Percy Jackson, the demi-god son of Poseidon, who goes on a quest to the Sea of Monsters where he must retrieve the Golden Fleece. Stay tuned for more character posters as we get closer to this action sequel's August 16 release date.